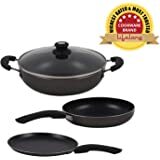 Amazon's Choice for "non stick cookware sets combo"
Ideal Non-Stick Set for Your Cooking Needs, For a complete cooking solution, the Prestige Omega Select Plus non-stick set is an ideal addition to your cookware collection. 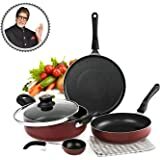 Featuring a fry pan, an omni tawa and a flat base kadai, you can cook everything from sabzis, rotis, curries, stir fry vegetables, pancakes and more with this non-stick set. 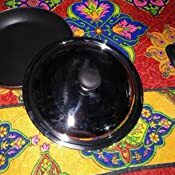 Furthermore, the kadai comes with a lid, making it suitable for cooking vegetables and gravies whilst retaining their nutrition and taste. 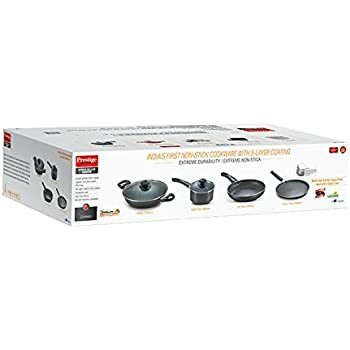 Cook elaborate and exotic dishes or fix a quick meal with equal ease using this cookware set. 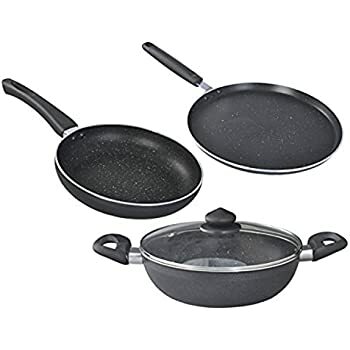 Highly Scratch-Resistant and Durable, Featuring superior scratch and abrasion resistance technology, the Prestige Omega Select Plus non-stick set can withstand regular use and last for a long time. 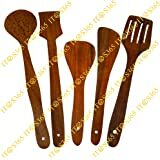 You can also use metal spoons with this set without developing scratches or marks on your cookware. Ergonomically Designed with Safety in Mind, Featuring sturdy handles, the Prestige Omega Select Plus non-stick cookware set has superior ergonomics that let you handle the pans and kadai with ease during cooking. Furthermore, due to the unique residue-free cooking feature, you are left with clean cookware at the end of a cooking session, giving you healthy food that is free from harmful carbonised residue. 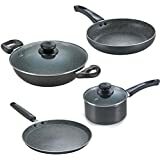 Its unique black colour possesses an understated yet elegant look and improves the overall décor of your kitchen and dining space. Prestige is one of India’s largest kitchen appliances company catering to the needs of home makers in the country. 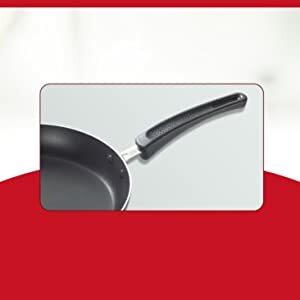 It has varied product portfolio ranging from pressure cookers, non-stick cookware, gas stoves, Induction Cooktops, Mixer Grinders to varied other electrical appliances and kitchen tools. 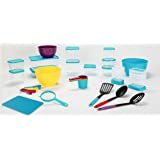 The company has been at the forefront of innovation in the Kitchen segment and has been the fastest growing company in the kitchen appliance space. Now Experience taste, high performance and health all in one place. The new and improved Omega Select Plus makes cooking safer and your health better. 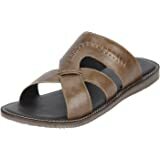 Its new & improved coating ensures durability and poses no harm to food. All in all, smart cookware for a smart kitchen. 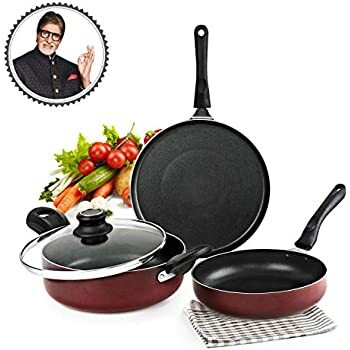 Featuring a Fry Pan, an Omni Tawa and a Flat Base Kadai, you can cook everything from sabzis, rotis, stir fry vegetables and more with this non-stick set. 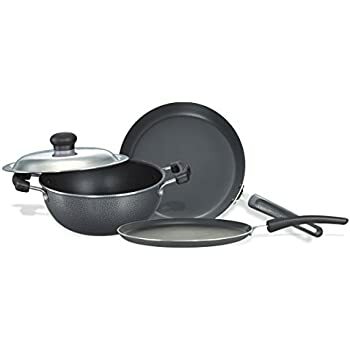 Highly Scratch-Resistant and Durable, Featuring superior scratch and abrasion resistance technology, the Prestige Omega Select Plus non-stick set can withstand regular use and last for a long time. 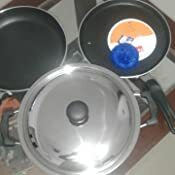 This set contains a Omni Tawa 250 mm, Fry Pan 250mm, Flat base Kadai with SS Lid 250 mm. The Prestige Omega Select Plus is designed to deliver healthy cooking. 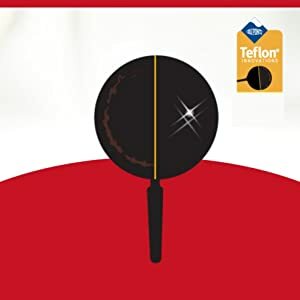 The revolutionary coating from Teflon ensures no residue collection and this makes the cookware healthy and long-lasting. 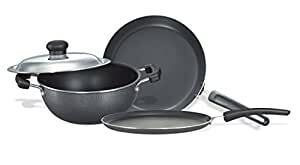 Made from high-quality aluminum, this cookware set is scratch, abrasion and stain resistant with durable and sturdy body. 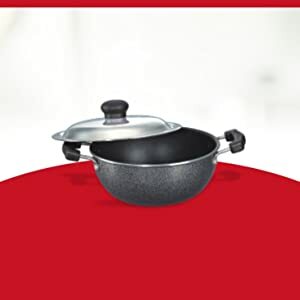 To serve your various cooking needs and requirements, this kadai comes with a stainless steel lid. Now cook delicious dishes like Navratna Korma, Kofta Curry, Kadhai Paneer etc in a healthy cookware with Prestige. 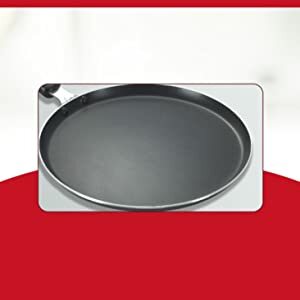 Made of fine quality aluminium, the Omni Tawa from the house of Prestige ensures uniform heating and non-stick cooking experience while cooking Dosas, Chapatis, Paratha etc. 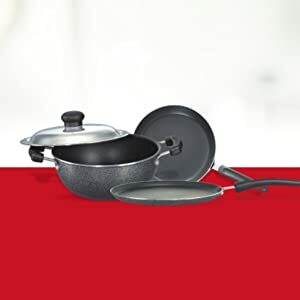 Cook delightful snacks like cutlets, breadrolls, french fries etc in less oil with omega select plus cookware which assures easy & quick food release. 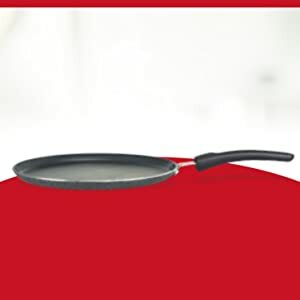 The revolutionary Omega Select Plus coating from Teflon ensures there is no residue collection at all. 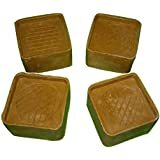 This makes the cooker healthy and long lasting. Also it is easy to clean. 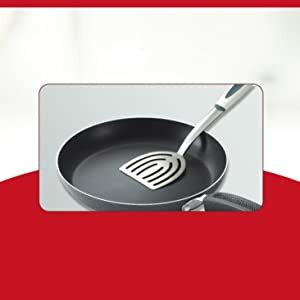 The Prestige Omega Plus Cookware is designed with the metal spoon-friendly feature that makes it user friendly and long lasting. 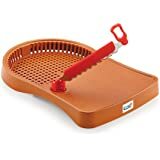 Bakelite riveted handles with grip spots gives you a firm hold on the cookware while cooking and makes the handle long lasting. I bought this set for Rs 1699/- though there were some other brands available at lesser price. The trust on Prestige paid off and we are happy to use them. 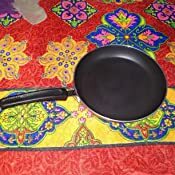 The Pan is light weight, sturdy and easy to cook. 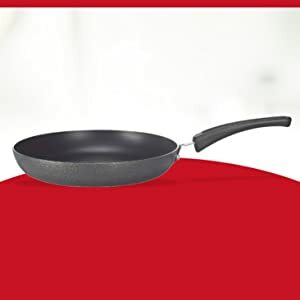 The non-stick coat works well and leaves no residue, uses less oil. There was a mark on the tawa. Haven't returned as I had started using the Kadai. Did not expect that from Prestige. Otherwise they look fine. Size is also correct. This is my second purchase in last four years. 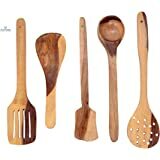 I have been using these kitchenwear almost every day. I must say this time product quality is at best. 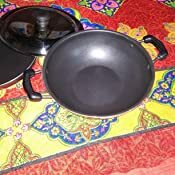 I just had to replace my kadai, I am still using both the other products from my previous purchase. The offer on combo was definitely great so I ended up purchasing it. If the instructions in manual are properly followed then you need not have to worry for a long period. There was a scratch on the dosa pan and the non stick coating was off. So returned the product. Otherwise the product was good. Nice delivery. these vessels are just medium quality. 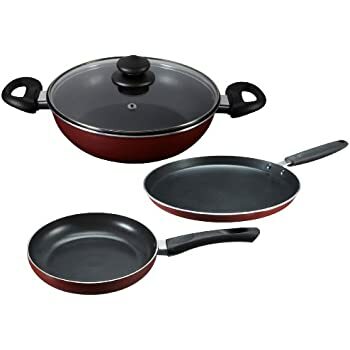 the nonstick coating is very thin and gets removed easily. and getting scratched easily.